Say hello to our first visitor from the Gamma Quadrant. He is Tosk… and that’s about all we know until a group of heavily-armed aliens show up looking for him. 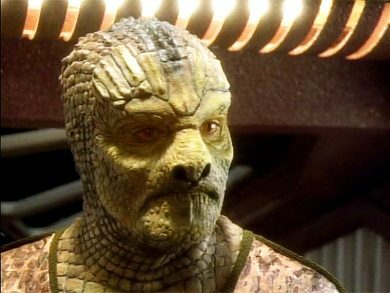 They say Tosk was born to be hunted, but O’Brien says he’s a sentient being with a right to live. What does Tosk want? And how will the Prime Directive sway Sisko’s decision to help him? Find out when we put Captive Pursuit into the Mission Log.